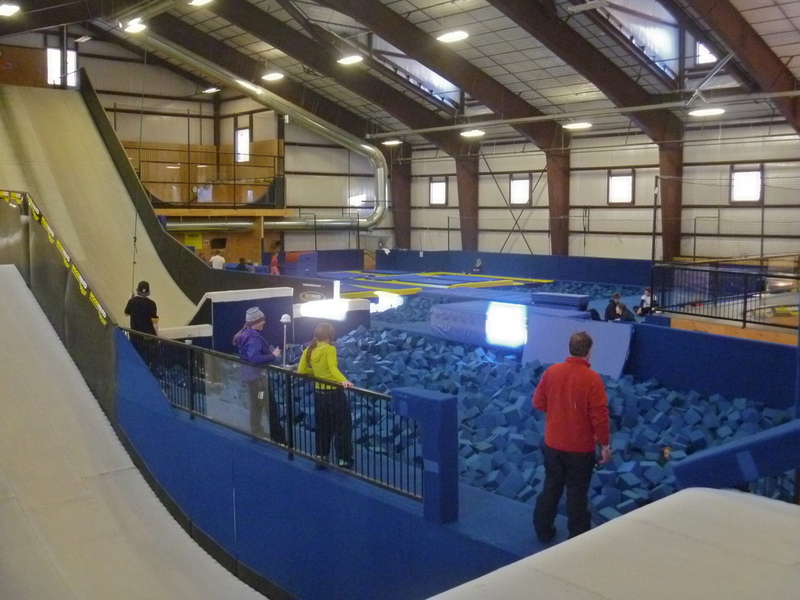 Ever since it was built a few years ago I've dreamt of going to the Woodward Barn at Copper - an indoor facility with trampolines, sprung floors, snow flex jumps and a lot of foam pits. Its the ideal place to learn spatial awareness, new spins and flips and try to do tricks on skis without hurting yourself. I did a lot of gymnastics as a kid and I'm a good skier -but somehow I've always struggled to combine the two skills. Then we booked a ski holiday to Breckenridge over Christmas. This was my chance. OMG this place is amazing! 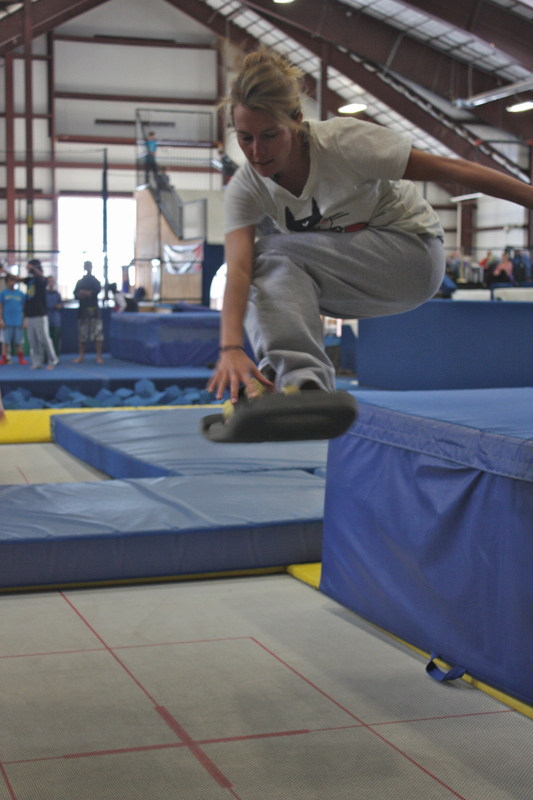 My gymnastics skills came back to me pretty quickly (with a lot more muscle pain the next day than I remember from my teens) and I was stoked to make it off even the big kickers in my first session. I didn't just concentrate on skiing though - I took one of the foam boards and strapped it to my feet to practice some spins and grabs for skiing as well.